Take a hint from this sustainability-minded company and learn why conscious business practices are a nimble, effective approach to climate change mitigation. Yes, the company makes out-of-this-world chocolate truffles and chocolate bars. And yes, the brand’s unique varieties of rice and quinoa are USDA Organic and fair trade. But this B-Corp brand stands out the most due to its sustainability mission, which hinges on the trifecta of being socially just, striving for environmental responsibility and crafting reliably delicious products (after all, it’s hard to make true impact in the world if consumers don’t like how your products taste). natural product industry’s responsibility to be climate change pioneers. Why are conscious businesses a solution? Is it because they can quickly make differences versus lobbying for climate change legislation, which could take years? 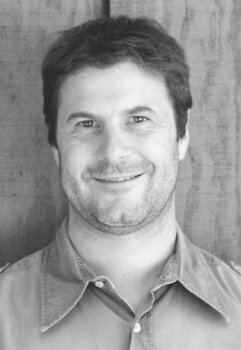 Edouard Rollet: As a leader in organic and fair trade products, we feel a great sense of responsibility to set an example for creating the change we want to see in the world. Food is such a necessary component to everyday life, and by making foods that are not only good for you but also good for the planet, conscious businesses have the opportunity to make the subtlest of changes within their supply chain in order to leave a long-lasting impression on our Earth. Because conscious business is becoming more mainstream, we also have a big opportunity to educate consumers everywhere, using direct channels like social media, on how to use their purchasing power to make a positive impact. We full-heartedly support lobbying for climate change legislation but can’t wait for laws to be put in place when the world is weathering the effects of pollution every day. Instead, conscious businesses like ours can act in the present and pave the way for a better tomorrow by spearheading initiatives that ignite change. Take our commitment to becoming a carbon-negative business, for example. In partnership with PUR Project, we have implemented "insetting"—that is ongoing reforestation projects and strategically planted native trees within our cacao farmers’ fields. These reforestation efforts naturally sequester our carbon footprint while also increasing biodiversity, regenerating soil and preserving the fragile ecosystem. To date, we’ve planted nearly 29,000 trees. Do you think natural products companies have a responsibility to make business decisions in reference to environmental impact? ER: Absolutely. Historically speaking, corporations have made few strides to make positive environmental change. It’s been smaller, ethically-driven companies that have set the standards because they’re simply motivated by creating a sustainable future for all. More specifically, until recently the natural food industry has been viewed as a niche market, but because of our ability as smaller companies to connect and understand what consumers truly value—like environmental impact—Big Food has begun to take note. The growing momentum that natural products companies established challenges the way traditional brands define their success. It’s no longer just about sales but about taking a modern approach to making an impact at every turn. That said, we still have a long way to go. As Paul Hawken (who will be the keynote speaker of Climate Day) recently pointed out “with the exception of energy, no industry has a bigger impact on climate change than agriculture and food, both as a source of the problem and as a solution.” I think that speaks for itself as to the potential natural food companies can have as they pioneer the fight against climate change. Long-term thinking here: In five years, what would you like the natural products industry to look like in terms of climate change mitigation? How should the industry coalesce around issues outlined in Climate Day, such as packaging, forests, food waste and more? ER: The natural products industry has conquered so much, from leading the way in using organic and non-GMO ingredients to fair trade practices. Most importantly, organic food companies have been reinventing the food space to encompass differing environmental and socially conscious practices such as fair trade, fresh veggies, minimal processing, farmer relations and more. This is ultimately where the growth in the natural products market comes from, hence showing our importance in the following capacities: Creating continuous growth volume, pioneering with foods and growing methods that preserve the established organic movement and regenerating, which is a new goal for Alter Eco. With these key initiatives in mind, natural products companies can pave the way for a promising future, both in regards to sustainable innovation and environmental longevity. We cannot do this alone and we intend to lead the way so that the large global food players come in and participate, ensuring measurable impact and minimal environmental impact, as we need them to guarantee that maximum change can happen fast. Interested in participating in Climate Day at Expo West? Check out the schedule here!